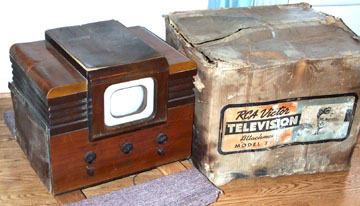 Almost all of the pre-1945 American sets were used in New York City, where electronic broadcasting began. A few were sold in Chicago, Boston, Philadelphia, Washington, and Los Angeles, where there were also stations. But this set was purchased by Granville Pearson Ward (better known as G P. Ward or G. Pearson Ward), a broadcasting pioneer in Springfield, MO. 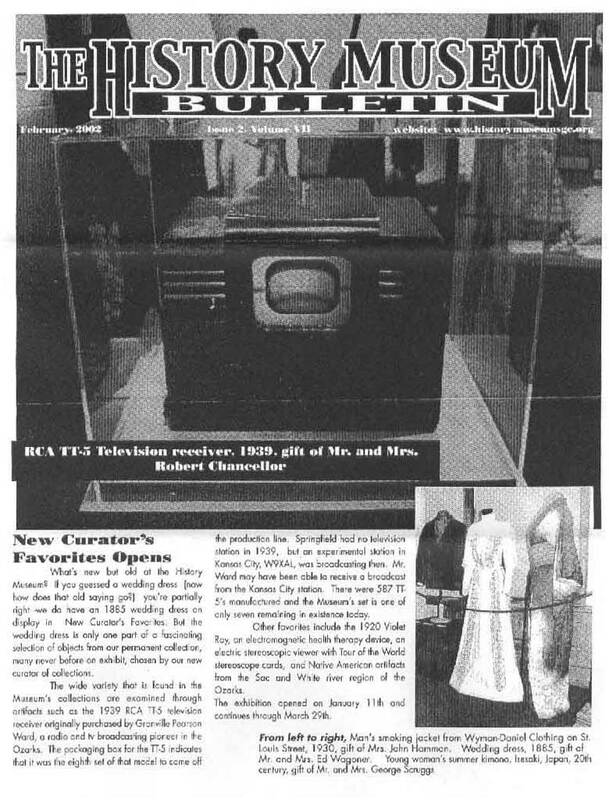 Springfield, of course, had no TV station in 1939. So how was this set used? There was an experimental station in Kansas City, about 150 miles away. 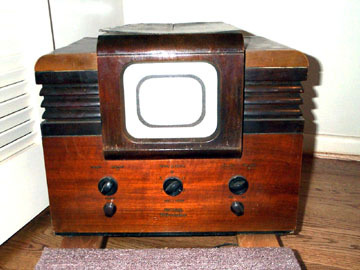 The station, W9XAL (owned by radio station KXBY), was on the air in 1939 and broadcast with a power of only 150 watts (compared to 100,000 watts or more for today's stations). Could Mr. Ward have put up a large antenna and received this station? Or maybe Mr. Ward bought the set in anticipation of constructing his own station. I have uncovered some additional facts about W9XAL. The transmitting antenna was located on the top of the Power and Light Building in downtown Kansas City, over 500 feet above the ground. Using topographical mapping software and a program to calculate the strength of the signal that would be received in Springfield, I have concluded that Mr. Ward could have received a good, but not perfect picture on the TT-5. This set was recently discovered by a relative of Mr. Ward. It had been stored away with papers and photographs in the loft of the Carr Shade Factory, a business operated by Ward's wife, Betty. They were put there some time before Ward's death in 1987. The set has been donated to the History Museum for Springfield-Green County. In addition to the set, the original shipping box survives. The serial number, 1008 (probably the 8th TT-5 made), is visible.